It's not hard to see why the story of Sean Penn has spent over a decade trying to bring the story of Chris McCandless to the big screen. 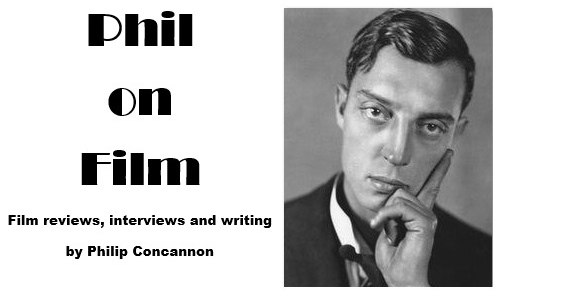 An iconoclastic, single-minded and rebellious figure throughout his career, Penn surely saw something of himself in adventurous young man who rejected a life of material success and sought his freedom on the open road. For two years McCandless traversed the American wilderness, living by his wits and testing himself against the elements, before nature finally caught up with him in Alaska, where he lived out his final, painful days and succumbed to starvation at the age of 24. His story was told by author Jon Krakauer in 1996, and eleven years on it has formed the basis for the most ambitious work of Penn's directorial career; a daring, bloated, gorgeous, overlong, clumsy and occasionally touching mess of a film. If Into the Wild were made twenty-odd years ago one could have seen Penn stepping into the shoes of Chris McCandless himself, but here Emile Hirsch takes on this demanding role. McCandless' journey began in 1990, and we pick up his story shortly after his graduation, with his parents (William Hurt and Marcia Gay Harden, solid in slight roles) dreaming of big things for his future. But Chris sees himself travelling down a different path, and he appears determined to shrug off this comfortable, conventional lifestyle, rejecting their offer of a new car and telling them that he doesn't want any of these "things, things, things". Abruptly, he decides to cut loose; he writes off his entire $24,000 college fund with a single Oxfam cheque, and leaves his family behind, never to have any contact with them again. We retain a link with the McCandless family through the intermittent narration provided by Jena Malone, as Chris' sister, balancing out the central character's journey of discovery by allowing us to glimpse the pain of those left behind (Malone has a great voice for narration, having earned her stripes in last year's Container). 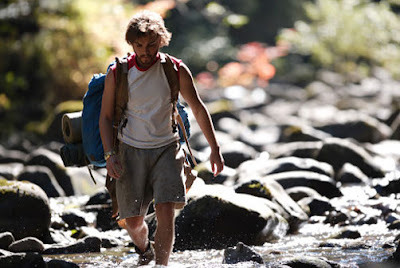 For the most part, though, Penn follows Chris every step of the way, cutting back-and-forth between his last weeks in Alaska and the various people and experiences he encountered along the way; and with some of these encounters being a lot more interesting than others, Into the Wild often comes across as frustratingly episodic and disjointed. For example, the segment of the film in which Chris spends some time working for Wayne Westerberg (Vince Vaughan), a farmer with a wild streak, falls very flat, possibly because Vaughan's character feels poorly defined. The rest of the supporting cast Penn has assembled give us some memorable turns, though. Catherine Keener and Brian Dierker (a non-actor who is a warm and natural presence) play a hippy couple whom Chris runs into a couple of times down the road, and they take him into their lives, with his presence compensating in some way for the son they lost. Keener is a always a pleasure to watch and she brings a real sense of loss and affection to her scenes, like the one in which she admonishes Chris for making a dismissive remark about his parents with the cutting line "You look like a loved kid. Be fair". Later, Chris ends up spending time with Ron Franz (Hal Holbrook), an elderly leather worker, who has lived alone since his family died in a car crash many years ago. Ron develops a strong bond with this young traveller, and pleads with him not to take those final steps into the Alaskan wilderness, even asking Chris if he would like to live with him as his son; and Holbrook's incredibly tender and heartfelt performance is deeply moving. It seems at times as if everyone Chris met on his journey towards death wanted to protect him, to act as surrogate parents, perhaps having experienced a sense of foreboding about his ultimate fate. As played by Emile Hirsch, though, it's not hard to see why so many people warmed to McCandless. The actor plays Chris as cocky and intelligent, but he's also a lively and endearing figure; and he seems to light up when he comes face-to-face with the splendour of nature. This is a hell of a big film for one young actor to carry the bulk of, but Hirsch throws himself into everything with complete dedication, and the sight of an emaciated, bearded McCandless inching towards death in the final scenes is shocking when held against the youthful exuberance of his earlier appearances. It's a tremendous piece of acting. My problems with Into the Wild arise when Penn refuses to trust in the inherent brilliance of his cast, story and setting, though. His direction grows increasingly self-indulgent and gimmicky – Hirsch even breaks the fourth wall at one point – as the film progresses, cluttering the action unnecessarily when simplicity is the key to its success. The film is beautifully shot by Eric Gautier, but so much of Penn's direction is visually clichéd; with helicopter shots swooping around mountain peaks, while Eddie Veder's on-the-nose songs wail on the soundtrack, and Hirsch is repeatedly asked to stand with his arms outstretched in a Christ-like pose while Penn's camera gazes upon him adoringly. At one point, Hirsch stands in the water and shakes his head wildly in slow-motion while droplets fly off in all directions – and shots like this go beyond cliché into being something like kitsch. Directors like Werner Herzog and Terrence Malick have repeatedly shown us that the natural world has its own kind of magic and beauty, you don't need to take these measures to make it more interesting, and Penn's heavy-handedness is counter-productive. In fact, much of Penn's rendering of this tale displays a real lack of subtlety – the depiction of Chris' abusive family life is seen through grainy Super-8 footage – and Into the Wild threatens to lose its way more than once before reaching its 140th minute, but the impressive performances and the sheer strength of the director's conviction pulls us through. The final twenty minutes are among the film's best, conveying the ultimate horror of Chris' ordeal through some visceral imagery, but I never really felt connected to Chris McCandless, who remains something of an enigmatic figure at the close. This is being hailed as a major leap forward for Sean Penn as a filmmaker, but I much preferred his excellent 2001 picture The Pledge, a film that really tried to get inside its central character's head rather than simply observing his behaviour in an approving fashion. In contrast, Into the Wild is essentially a romantic odyssey, with Penn portraying Chris McCandless as a heroic and admirable figure. He even gives McCandless something of a hero's death; lying facing into the sun, his features are frozen into an ecstatic, defiant smile, as the light disappears from his eyes.